Oftentimes, automobile drivers are not as attentive to bicyclists as they should be, resulting in devastating consequences to the bicyclist as bicycles and helmets provide very limited protection against injury in a car vs. bicycle accident. 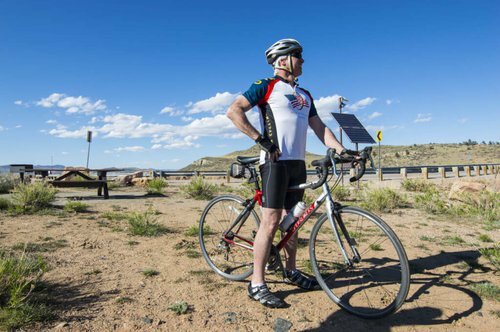 If you’ve been injured in an automobile/bicycle accident, you need the best bicycle accident attorney in Fort Collins fighting to ensure you’re protected and taken care of. Injured bicyclists don’t always get a fair shake after they have been injured in an automobile vs car accident. Many drivers resent bicyclists because they feel that bicyclists disregard traffic rules that they have to follow and slow down traffic. Unfortunately, this attitude is sometimes shared by law enforcement personnel, which can cause issues for bicyclists who are simply seeking justice. Consequently, auto/bike accidents should be swiftly and thoroughly investigated so that accurate evidence can be collected and legally documented. In order to be certain your bases are covered and that you’re able to recover any medical bills, lost wages, and other damages, it’s imperative to have a knowledgeable, skilled Fort Collins bicycle accident attorney on your side. Sources of coverage and compensation may include the at-fault driver’s liability insurance or the bicyclist’s own Medical Payments (Med Pay) insurance or uninsured/underinsured motorist (UIM) insurance. Hester Personal Injury Law is here to help you rewrite your story for the better.